Fox News launched its over-the-top (OTT) platform last month called Fox Nation. The new on-demand platform came to existence because of Fox News Channel’s limited number of hours in a day. 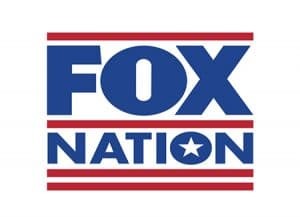 Fox Nation has a full lineup of on-demand content available to subscribers. A regular subscription currently runs $5.99 a month or $64.99 a year. Each of these includes a free trial period. John Finley, senior VP of development and production for Fox News says that Fox Nation is a hybrid of Netflix and Facebook Live in terms of format and its offerings. Fox Nation offers a cross between long-form content like documentaries you might find on Netflix, to live programming as you would see with Facebook Live. Britt McHenry and Tyrus will co-host UN-PC featuring guests and summarizing headlines. Tom Shillue will host Quiz Show where he’ll play trivia with select guests.